A unique collection of 119 MAPK signaling inhibitors for high throughput screening (HTS) and high content screening (HCS). • J Cell Physiol . 2017 Sep;232(9):2396-2406. • Virology . 2017 Aug;508:150-158. • Cancer Discov . 2018 Sep;8(9):1130-1141. • Cancer Discov . 2015 Sep;5(9):960-71. • Cancer Discov . 2012 Oct;2(10):934-47. 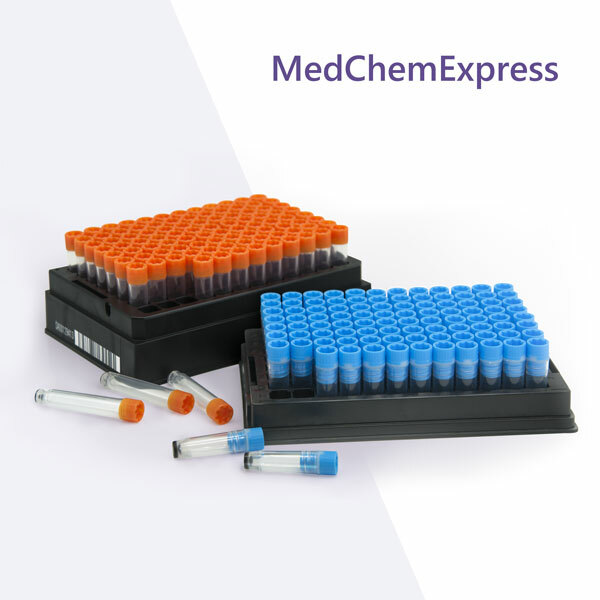 • A unique collection of 119 MAPK signaling inhibitors for high throughput screening (HTS) and high content screening (HCS). • Targets such as ERK, JNK, MEK, p38 MAPK, Raf, RSK, etc. • A useful tool for MAPK-related drug discovery and disease research.